A short (three-minute) video, just for fun. Bobby McFerrin Demonstrates the Power of the Pentatonic Scale. Enjoy. On Saturday we had the privilege of singing for a special ordination service for deacons at the Cathedral Church of St. Luke. Choirs from the home churches of the ordinands were invited to join the Cathedral Choir, and since one of the four to-be-deacons was from our former church, and one from our present, we were able to do double duty. Alas, only one choir member from our former church was able to participate, so it was not quite the grand reunion we had hoped for, but it was great to sing with her again, anyway. And it was great to sing with the Cathedral Choir. Although we have attended the Cathedral at times, and every once in a while considered making it our home church, to be part of their choir is not something we've aspired to. There are a number of reasons for that, some better than others. One of the not-so-good ones is that I've been terrified of auditions ever since my junior high chorus teacher attempted to figure out who was singing the wrong note by having each of us sing it individually, in front of the whole class. Junior high is not a time of high confidence for most people, certainly not for me, and not a sound would come from my throat, no matter how much she pushed me. That's still one of my strongest junior high school memories. I managed to overcome my fear of auditions just once, when in high school I had the opportunity to audition for the Choralaires, the dream of a lifetime. Okay, it was a short lifetime at that point, but still, I had been admiring that group for as long as our family had been enjoying their concerts. 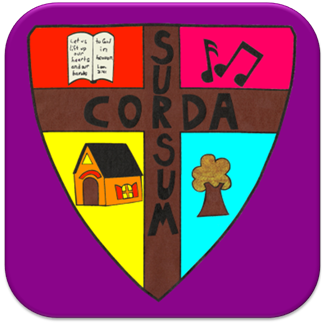 (If you click on that link, you'll be able to read an article about the Choralaires, though you'll have cancel out of a print—without the print command the link takes you to where you can only access part of the article.) Anyway, I survived the audition, and when the list of those who had made the elite group was posted, there was my name! Still, such was my self-confidence that I have to this day been unable to shake the suspicion that somehow my parents had convinced the director to accept me, knowing that we were moving out of state that year and I wouldn't be able to accept the position. Crazy, I know—that's not the kind of thing my parents would have done—but how else to explain my success? My experience was not unlike that of children who become terrified of mathematics for life because of a bad school experience. Some teachers have a lot to answer for. Fortunately, there are also people later in our lives who can gently lead us out of our fears, and I've benefitted from some wonderful choir directors. But I still can't imagine joining a choir that requires auditions. All that long digression aside, it was lovely to be in the great choir loft, singing with the Cathedral choir, under the direction of Ben Lane—even seated where I could watch him in action at the organ. Our choir was well-represented, and our own director had prepared us well. I don't think any of us felt well prepared, as the music was difficult, but as it turned out, it all went well. Our first anthem was Praise Ye the Lord by Stan Cording. Yes, there is something good to be found in television. The signal-to-noise ratio may be terrible, but there's good, too, and today's Memorial Day post was inspired by two shows I saw parts of recently. If the people I honor today didn't give their lives in service to their country, they certainly gave much of their lives to that service. The first honored the WASPS of World War II, the Women's Airforce Service Pilots, whose courageous story, and our country's shameful response, has finally been told. For too long the first female American military pilots were not only denied veteran's benefits but treated as if their service had never existed. The battle for recognition was a long, slow process, though it kicked into high gear when the military began touting a much-later set of women as the first. You know that an injustice has been done when a cause for which conservative Senator Barry Goldwater fought so strenuously was later acknowledged as right by President Barack Obama. You can see the trailer at this link; I haven't managed to embed it here. Nor does it work for me in Firefox, but it did in Chrome. The second show mentioned the Hump pilots, also of World War II, and the gratitude the Chinese people still feel towards them. Naturally I thought of Colonel William Bryan Westfall, Hump pilot and veteran of World War II, Korea, and Vietnam. I never met him, as he died before his grandson married our daughter, but I'm grateful to him, for his remarkable military service—and for his family legacy. Happy Memorial Day to all, and Whit Monday as well, for those of you privileged to live where that holiday is honored, even if its meaning, like that of Memorial Day, is often lost except as an excuse to celebrate. Tomorrow is Pentecost, which means this is the last day of the Easter season. Which means ... I'm giving Stephan's new Easter song one more play. For the words and further details, see the original post. If this video has you scratching your head, just ignore it. It's a little tidbit for a few of my readers while I work on my next book review. But the few ("the happy few") will smile, I think. 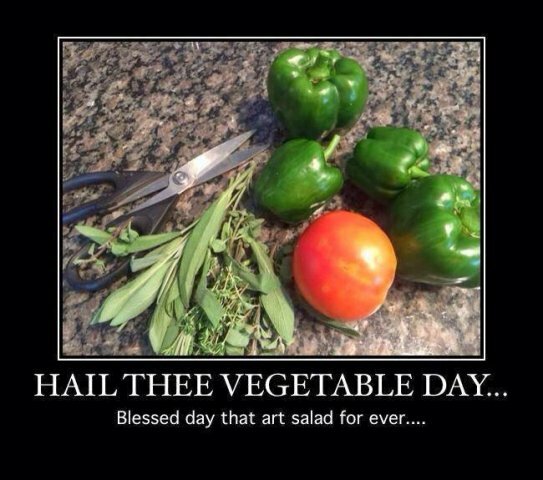 One of our favorites, well worth repeating. As usual, this isn't us, but we did have the lovely flute accompaniment. As a young child I fell in love with Laura Ingalls Wilder's Little House in the Big Woods, and naturally ate up the rest of the series when I discovered it. The earlier books (particularly Little House in the Big Woods and Farmer Boy) remain my favorites, and having now read Pioneer Girl I better know why. The first few books in the series are full of the delight of a child and a child's-eye view that paints pioneer days with glory: the joy of good work, good food, open spaces, hope, family togetherness, and lots of "Inch by Inch" hippie naiveté. As the story goes on, however, the children grow older, and adult worries and realities intrude. Plus, I've never gotten over my childhood dislike of of romance stories, and if anything, coming-of-age stories are even worse. I identify a lot with Peter Pan. Pioneer Girl was Wilder's original, unpublished memoir, from which grew the Little House series, as well as many of daughter Rose Wilder Lane's writings. It is full of the adult realities behind all the books. As such, it is informative, even fascinating—but also a sharp reminder that it takes more than a rake, a hoe, and a piece of fertile ground to make a garden, or a life. Don't get me wrong; this is no exposé, revealing the deep, dark secrets behind the children's books. It's just that it made me realize that I'd rather keep my genealogy real and my children's stories warm-and-fuzzy. 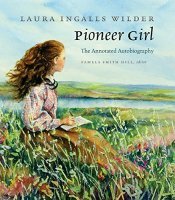 There is a lot of genealogy in Pioneer Girl, as Hill has painstakingly identified the people that Wilder wrote of, even in passing. Reading it reminds me of my work for Phoebe's Quilt, only a lot more extensive. "Extensive" is the word for Hill's annotations. Genealogy, comparing versions of the materials, analyzing writing style, researching historical realities, and explaining cultural references in minute detail; whatever it is, Hill's work is extensive. Some of that I appreciated, and some I did not. Although the book is clearly written for adults, Hill seems to assume that her readers are no more knowledgeable than the children who were the intended audience for the Little House series. She explains common cultural knowledge in excruciating detail; had she been analyzing my first paragraph above, she would have provided publisher information for the books, provided the lyrics for the song, explained about hippies, defined the romance and coming-of-age genres, and told the story of Peter Pan, including its author, date of publication, and cultural significance. I have to admit I prefer not to be considered completely ignorant, even if it means I have to look some things up. Serious Little House devotees will find it worthwhile to read Pioneer Girl. I found it encouraging to learn that while the books are deliberately fiction, and have taken liberties with some of the facts, most notably by leaving out significant events and rearranging the order of others, Little House is no mere "inspired by" work that bears little to no resemblance to the facts. The stories ring true because they mostly are true. But people's lives simply don't unfold the way a good story does, and Laura Ingalls Wilder chose to craft her tales of American pioneer life with all the skill of a novelist. Although I kept up my friendship with her daughter, Ruth and I lost contact—that's what often happened with different generations in the pre-Internet days. But thanks to e-mail, my blog, and Facebook, we reconnected in recent years, and what a blessing that was. She even came to visit us at the Maggie P. one year! Because my own mother died when I was in my early 20's, by the time I wanted to hear stories of my childhood, I couldn't ask her. Ruth filled some of that gap for me, and I'll always be grateful for what she shared before the years took their toll and made communication difficult. She's free now, and I certainly don't begrudge her the new life, but I miss her, and wish we'd reconnected sooner! I rooted for two horses in this Kentucky Derby: American Pharoah because that's the way I always misspell "pharaoh," and Frosted, because of his unusual color. Of course I put no money on either of them, but it sure was fun watching them come in 1st and 4th! This book started slowly for me, though not for bad reasons: I spent too much time (and not enough) trying to answer some of the self-examination questions Rubin asks at the beginning. It might be useful to revisit them when I'm feeling less time pressure (as if that day will ever come!). I was somewhat frustrated because she keeps dividing the world into categories—Are you an Upholder, a Questioner, an Obliger, or a Rebel? A Marathoner, Sprinter, or Procrastinator? A Finisher or an Opener?—and all too often I find myself a true mélange, which leaves me unable to get as much from her later prescriptions as I otherwise might. I bogged down again over her preoccupation with diet, and her low-carb proselytizing. Finally, however, I realized that my less-than-enthusiastic reaction was primarily due to the fact that not a lot of what Rubin says was new to me. Her Happiness Project books (my reviews are here and here) have many of the same characteristics I dislike, but they were so full of new and fascinating material that it didn't matter. This time it did—or perhaps I just shouldn't have been in such a hurry to read it. This was one of my "How Not to Read a Book" books, and I didn't have the time to festoon it with my usual sticky notes. Hence, you get no quotations. Be that as it may, there's still much of value, and I may re-read Better than Before at a later date. For now I'll just mention the idea that struck me the most, and which I've already started to implement in daily life: One of the greatest advantages to establishing habits is that it frees us from much decision making. I'm one of those who feels as if I have only so much decision-making power each day, and anything that conserves that supply for more important decisions must be a useful tool. Rubin's ideas about the usefulness of scheduling, accountability, monitoring, first steps, convenience/inconvenience, habit pairing, and the do's and don'ts of distraction and rewards are not new, but it's helpful to have them together in one book. Better than Before is a good accessory to the Tiny Habits approach.